Bleachie Lee King was born on September 15, 1924 to Idonia and Wavie Crawford. She was one of thirteen children born to this union. Bleachie began her lifelong journey with Christ at an early age, as a member of Evergreen Baptist Church in Ringgold, Louisiana. On December 23, 1942 she was united in holy matrimony with childhood sweet heart Herman O. King. To this union five children were born. Herman, Jr., Bernetta, Laforal, Beverlyn, and Willie. Bleachie and Herman moved to San Diego, California, where they united with Second Baptist Church under the leadership of the late Norman L. Jackson. There, she worked with the Usher Board, Missionaries, and Deaconess. In 1971 she became the First Lady of Philadelphia Baptist Church, where she worked tirelessly and remained faithful for thirty-six years. We were privileged to call her Mama, Mom, Nana, Aunt Bleachie, Mama Bleachie, Mrs. King, and Sister King. But however you addressed or called upon her, you immediately felt the love and dedication she had for God, family, and church. In her ninety-four years on this earth you can only imagine the changes she saw in her life. But through it all she remained the same, a loyal, kind, loving, graceful, and gracious woman. Our hearts smile knowing Bleachie is with the Lord and her loving husband of sixty-two years, Rev. Herman O. King. 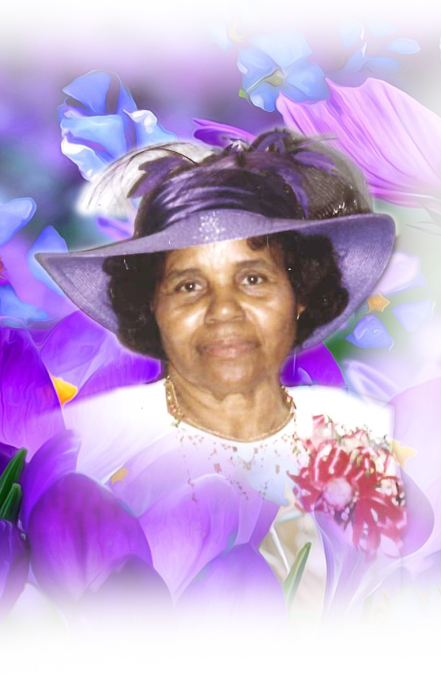 She was also preceded in death by her two eldest sons Herman, Jr. and Laforal, Sr.
Leaving to celebrate her homegoing are three children Bernetta, Beverlyn, and Willie, Sr.; Goddaughters Barbara and Yolanda; eleven grandchildren Olen, Jr., Yolanda, Kimberly, Roshawn, Janae, Laforal, Jr., Lacey, Cerae, Willie, Jr., Keyana, and Tamika; and many great-grandchildren and great-great-grandchildren; one sister Nonie Goree of Oakland, CA; and a host of nieces, nephews, and other relatives. She also leaves a sister in Christ Doris Floyd, and a daughter in Christ, Verney Guy. Bleachie’s prayer for all of you would be to keep your hand in God’s hands with love and peace in your lives.